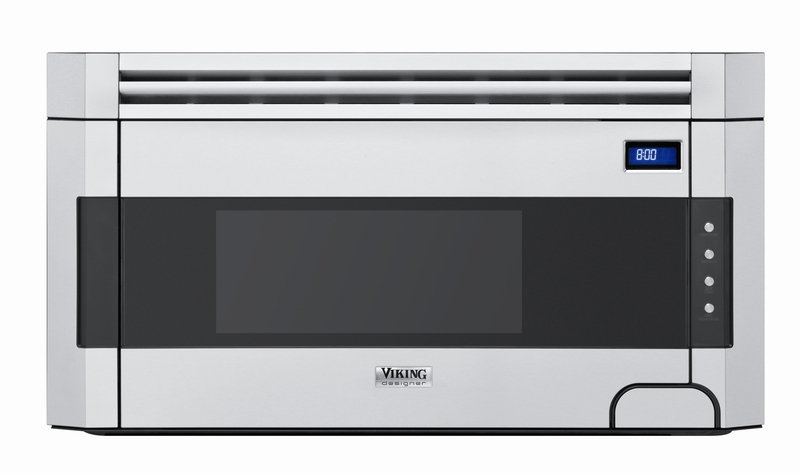 Viking is one of those Cadillac-type brands in the appliance world: pro performance and classic good looks at a premium price point — until now. 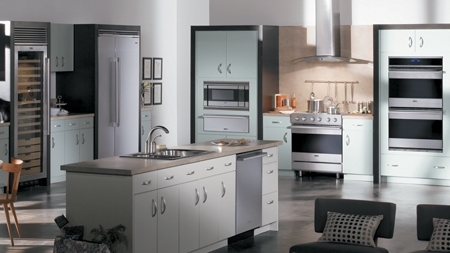 The iconic commercial range manufacturer totally overhauled its former designer line to unveil something wholly different — sleek, modern and much more accessible. Viking Designer is a completely new look for Viking. 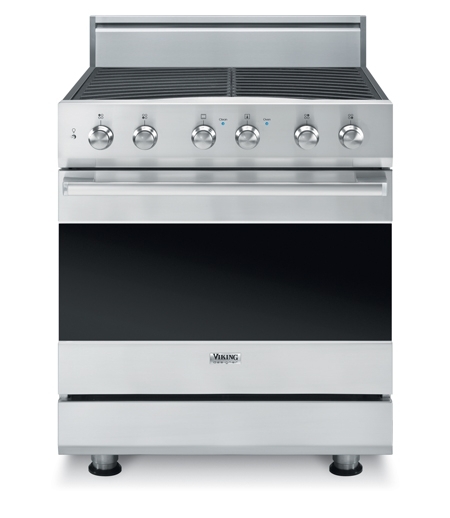 Not only does the new line depart from anything previously offered by Viking, but the Designer Series’ price point competes with mass premium brands — kitchen package will start at $8,400 and the dual fuel range will cost $3,999 — while the new line retains the luxury and performance we expect from Viking. 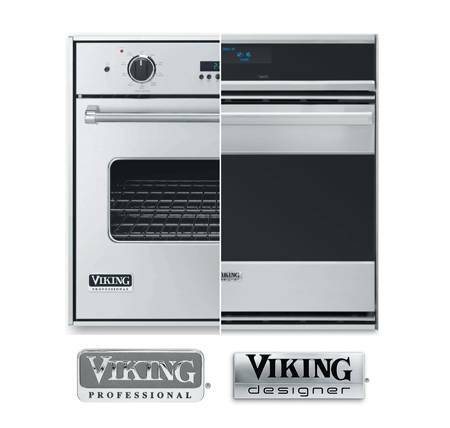 Because of its price, Viking was previously a brand generally reserved for the upper crust and the, ahem, more veteran consumer. But this line opens up Viking to a whole new generation with hipper, more laid-back styling to match. 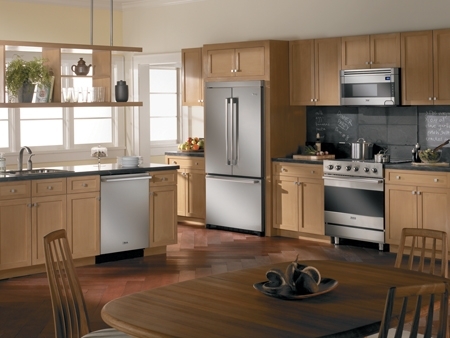 Designer Series products come in standard sizing, so upgrades from existing kitchens don’t require messing with the countertops and cabinets. 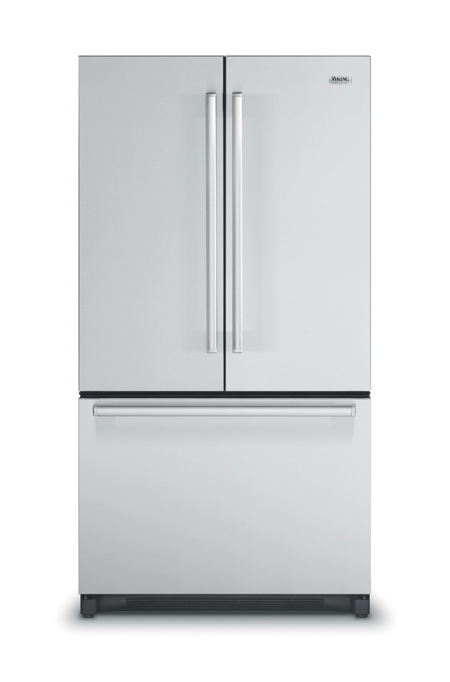 I think the stainless steel finish is clean and chic combined with the linear handle, but many models have additional color finish or custom overlay panels available, too. 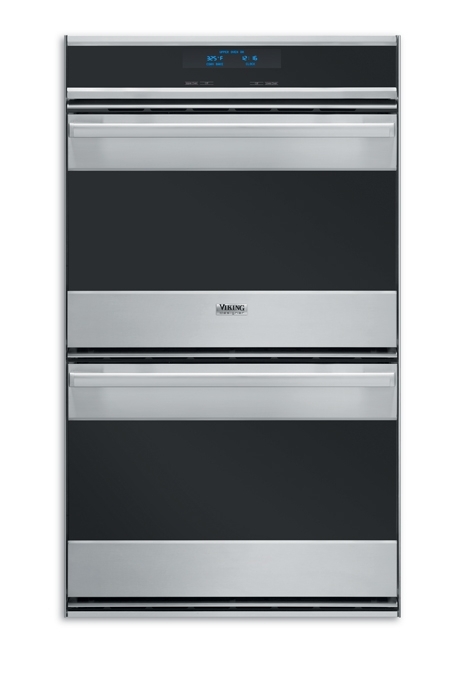 Also included in the line are wine cellars, warming drawers, beverage centers and trash compactors. Warners’ Stellian should be getting Designer Series into our showrooms any day now, so it will be interesting to see the distinction from Viking Professional — and the styling of premium brands in general — in person.